We compare offers from a huge list of reputable mobile phone recyclers to find the best price to trade in your old Sony Ericsson Xperia X Performance. If you find a better offer, we'll match it. That's how committed we are to helping you see the best money for your recycled device. Have an old Sony Ericsson Xperia X Performance gathering dust in your cupboard? There are dozens of online tech recyclers that will offer you money for your Sony Ericsson Xperia X Performance but finding the best price can be tricky and time-consuming. That's where Sell My Phone comes to the rescue. We compare offers from the top phone recycling sites on the web and get back to you instantly with the best offer-guaranteed. How much is my Sony Ericsson Xperia X Performance worth? Can I sell a broken Sony Ericsson Xperia X Performance? Why sell your Sony Ericsson Xperia X Performance with Sell My Phone? Selling your Sony Ericsson Xperia X Performance for the best price with Sell My Phone is as easy as 1-2-3. Enter the make and model of the phone - in your case the Sony Ericsson Xperia X Performance - and its condition into our search engine and let us do the hard work. Well come back with a list of offers from the top phone recycling sites on the web. No one compares as many as we do. 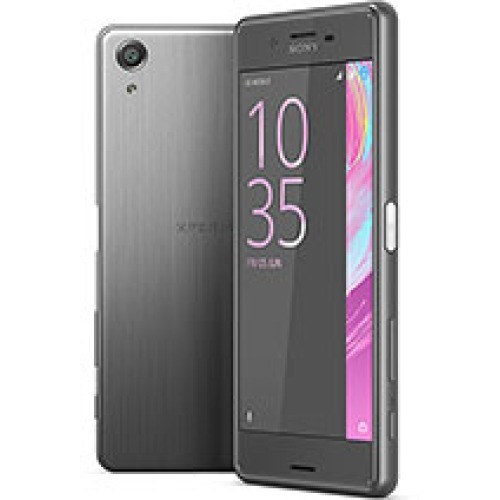 In fact, were so certain well find the best price for your Sony Ericsson Xperia X Performance, that if you find a better offer elsewhere, we'll match it. You choose the offer with the best price, or that best meets your needs, and click 'Sell Now.' Enter your details and follow the instructions about packaging and shipping your Sony Ericsson Xperia X Performance, and ka-ching! How Much Money Can I Get for My Sony Ericsson Xperia X Performance? The amount of money you can earn for your Sony Ericsson Xperia X Performance depends on its storage size, its condition, and whether it's unlocked or locked to a specific mobile network. After entering the make and model of your device, you then specify the amount of GB it can hold: devices that can hold more data cost you more when you bought them, so similarly will earn more from recyclers. You then select the condition: whether your Sony Ericsson Xperia X Performance is new, used but working, or broken and faulty. Brand new gadgets will get the highest prices, but used and even broken devices can still earn you cash. You then tell us if it's unlocked or locked to a specific network - either EE, O2, or Vodafone. Unlocked devices will fetch higher prices but locked devices are still definitely worth selling. You supply the info about your device and we do the work, finding you offers for your specific Sony Ericsson Xperia X Performance. Many recyclers still accept broken or damaged mobile phones and other devices. Shattered screens, dents, malfunctioning buttons-you can still earn money for your Sony Ericsson Xperia X Performance. Even if your Sony Ericsson Xperia X Performance won't turn on and is otherwise useless to you, it still has valuable parts that recyclers will give you money for. Why Should I Sell My Sony Ericsson Xperia X Performance with Sell My Phone? Sell My Phone is a phone recycling comparison site: we fetch offers from dozens of tech recycling websites and present them to you on one simple page, allowing you to find the best price for your Sony Ericsson Xperia X Performance in seconds. No one compares offers from more gadget recyclers than we do. And we're so certain that we'll find you the best price on the market for your Sony Ericsson Xperia X Performance, that if you find a higher offer elsewhere, we'll match it.